Honestly, yeah. And I always consider Mississippi the "worst" of the two, even though I know very little about them. For all I know I could LOVE both states (not likely, because neither are educationally-progressive)! I think this topic is more based off of culture. Most of America is not Educationally-progressive (as in college graduates if that is what you mean). Just to compare Louisiana to another state: 21.5% of people in Louisiana have college degrees while 24% of people in Ohio and 22.5% of people in Indiana have college degrees which is not that big of a difference. That is why Massachusetts has all those stuck up people and Mas*holes that are known for being unfriendly and rude (just joking). Massachusetts is well known for its universities and that percentage is well above average for the country. No, but really I was not trying to start some competition because I am well aware of Louisiana's standings compared to other states. All I was pointing out was that Louisiana which gets criticized for some things like education, is not much worse than states that are not as heavily criticized. But anyways, this is kind of off topic for what the real topic of the thread is and I am not even sure if that was what the other poster was trying to say when he said "educationally-progressive". All I was pointing out was that Louisiana which gets criticized for some things like education, is not much worse than states that are not as heavily criticized. Gotcha. My first thought was those other states might not have been the best comparison. But anyways, this is kind of off topic for what the real topic of the thread is and I am not even sure if that was what the other poster was trying to say when he said "educationally-progressive". No way. The legal code in LA takes is basis from French law and not English common law. This, in conjunction with the unique traditions and cultures preserved by its residents, makes it totally a different world to me. Particularly southern LA. The Catholic majority's influence (at least in earlier days) also laid the groundowrk to make LA a very different place to live than its neighbors. Napoleonic code doesn't change everyday life unless you are a law enforcement officer, politician, or lawyer. True, but it does form the basis of certain social institutions, as mentioned. I studied probate law in LA. Its a different world. Atlanta is mix, Atlanta and Birmingham were once regional rivals but today by pace and growth Atlanta has more in common with NC's Piedmont cities so the Dark green regions goes up to NC. 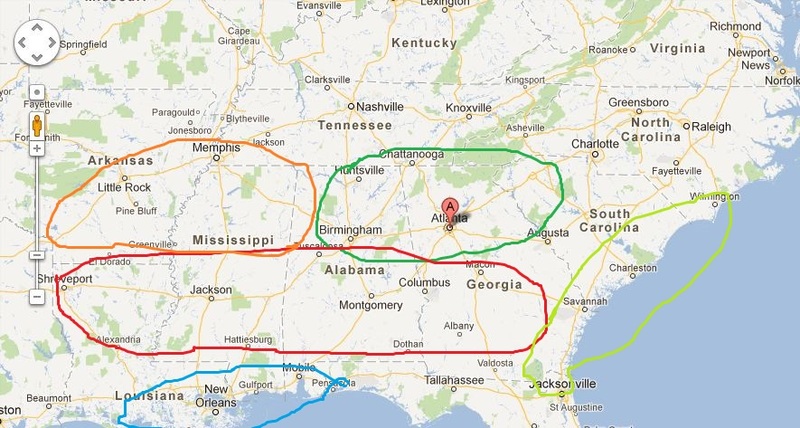 And Atlanta actually started after the Western & Atlantic rail lines that goes to Chattanooga so they have a bond. But at the same time, Chattanooga, Knoxville and Asheville kind of have there own thing going. Lousiana red has WAY more common with East Texas then Georgia, I would stop that at Columbus. Macon should be in another group with Augusta, Columbia, and Feyetteville, And the Gulf Cultural goes to Houston and Galveston though it's little different think of bayous and etc. 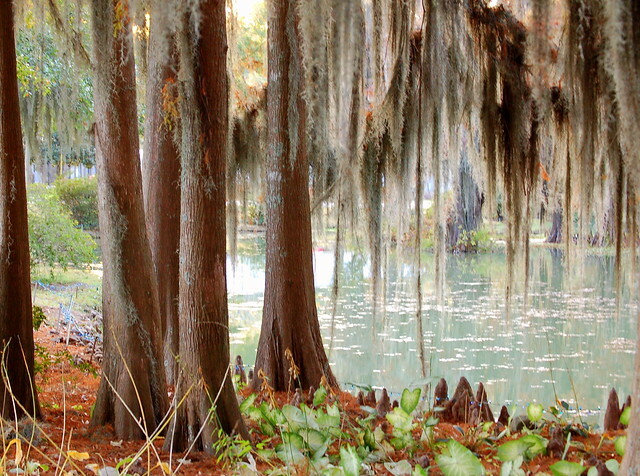 Southwest Mississippi shares more commonalities with Louisiana than the rest of the state. Anyone who has traveled along the southwest end of the Natchez trace should concede. It's not at all uncommon to hear New Orleans music in Jackson clubs, bars and radio stations, but culturally and appearance wise, Jackson = Memphis' mini-me. Birmingham to me, feels like a clash of Memphis (rustic, blue collar core appearance) and Nashville (enormous hills, higher end retail) sans the musical heritage. Birmingham probably reminds me of a larger version of Chattanooga the most, while Mobile shares more commonalities with Louisiana than any other part of the state. Huntsville is a wild card IMO. In appearance, it could easily pass for south Birmingham, but Huntsville has many more transplants than any other city in Alabama or Mississippi, which shakes things up quite a bit. Huntsville is also cleaner, and far better educated than any of it's peers in either state, which makes it difficult to place IMO. So to answer your question, yes and no. Louisiana is different in many ways, but not to the extent that one could feel regionally displaced IMO.